A workshop on Road Safety Data Quality took place in Tunis on November 22nd, with the participation of representatives from the Ministry of Transport, the National Road Safety Observatory, the Ministry of Interior, the Ministry of Health, and the Ministry of Technology, Communications & Digital Economy. The objective of the workshop was the presentation of the current experiences and practices regarding road safety data collection in Tunis, and the identification of main weaknesses and areas for improvement. “Reliable road safety data is a prerequisite for improving road safety. They are of paramount importance in order to identify the risks, decide on policies and measures for addressing them and evaluate the impact of the measures taken and save lives”, stated in his video message to the participants H.E. Mr Jean Todt, the Un Secretary General’s Special Envoy for Road Safety. And added: “I encourage EuroMed partner countries to cooperate within the EuroMed Transport Support Project, to which I offer my full support”. EuroMed Experts, as well as Experts from the key Authorities in Tunisia concerned with road safety data collection, including the Traffic Police, the National Road Safety Observatory and the Ministry of Health, provided insights on the status and challenges of road safety data in the country and discussed best European and international practices on the subject. The Workshop concluded with the confirmation of the engagement of all stakeholders in the country and their determination to further intensify their efforts for the improvement of road safety data, with particular emphasis on the need for more systematic inter-sectoral cooperation and the identification of concrete follow-up actions in this direction. The presentations made duing the Workshop can be found here. Mr. Jean Todt, the UN Secretary General’s Special Envoy for Road Safety is actively supporting the EuroMed Transport Support Project. His full statement follows: “Dear friends, I express my support to the EU funded EuroMed Transport Support Project’s efforts to assist South Mediterranean Countries in setting up reliable, harmonized and comparable road safety data collection systems. In addition, to share their data at regional level. This is of major importance, as reliable road crash data are key to identifying risks, developing strategies and interventions to address those risks. Reliable data is also of paramount to evaluating impact and an indispensable tool for political decisions. However, the collection of credible data, is a major issue in the EuroMed region as in other parts of the world. 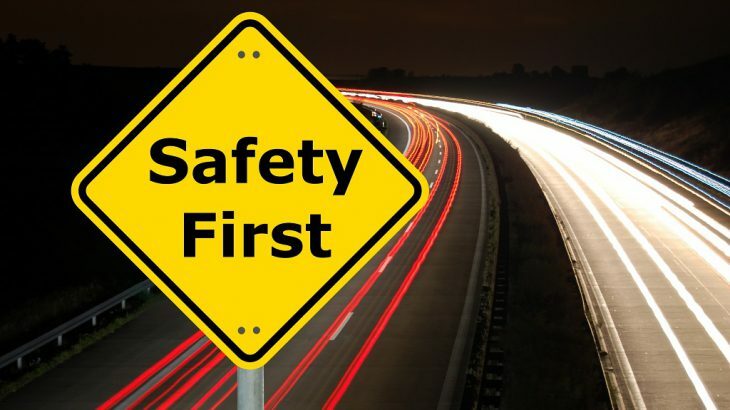 The interest expressed by the global community in developing Road Safety Observatories in the Mediterranean is an important recent initiative, that could build on the results of this activity. Therefore, I encourage the EuroMed Partner Countries to cooperate within the EuroMed Transport Support Project”. The EuroMed Transport Support Project implements a specific Activity. which consists of provision of TA on setting up road safety reliable, harmonized and comparable data collection system to EuroMed Partner Countries and sharing at regional level. Among the major objectives of this Activity would be to identify the methods of road safety data collection in the concerned Partner Countries (diagnosis); report on the existing best practices, methods and tools at national, European and international, including those of the European Road Safety Observatory (ERSO), the Community Road Accident Database (CARE), WHO, International Traffic Safety Data and Analysis Group (IRTAD) of ITF-OECD, UNECE and UN SafeFits project; understand the differences of the gaps between WHO and national statistics of the concerned EuroMed Partner Countries and bridge them; while at the same time promote collection and processing of harmonized, credible and comparable road safety data in the region. In this regard, close cooperation with the national road safety statistical services and WHO, ERSO, CARE, IRTAD and UNECE is required and already being established.